Solicitors, dealing with either criminal or commercial law, often have a raft of paperwork which is sensitive; you may hold your paperwork for past as well as present clients too. Data Space has a number of ways in which this sensitive documentation can be more safely stored and accessed. Whether your sensitive documents are witness statements or personal details, court documents or character profiles, property documents or indictments, we have secure data storage that will suit you. These documents are usually stored in locked files and can use a lot of a paralegal’s time searching for the relevant document. Scanning the documents, archiving but making them available on line makes time and cost sense. Data Space has an excellent scanning service. We’ve invested in top class equipment for this purpose and can either upload scanned documents to your own document management system. Data Space scanning of documents is compliant with the BSI DISC Code of Practice for Legal Admissibility and Evidential Weight of Information Stored Electronically (BIP 0008:2004). Data Space holds all online documents in our own certified Data Centre. The facility is compliant to BS27001. We also have Disaster Recovery centres on and offsite to ensure all data is safe and recoverable. 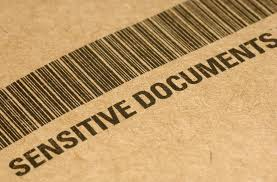 Talk to us about storing your sensitive documentation. Call us on 0800 028 8956 or email us for further information. Data Space will be happy to discuss your requirements.